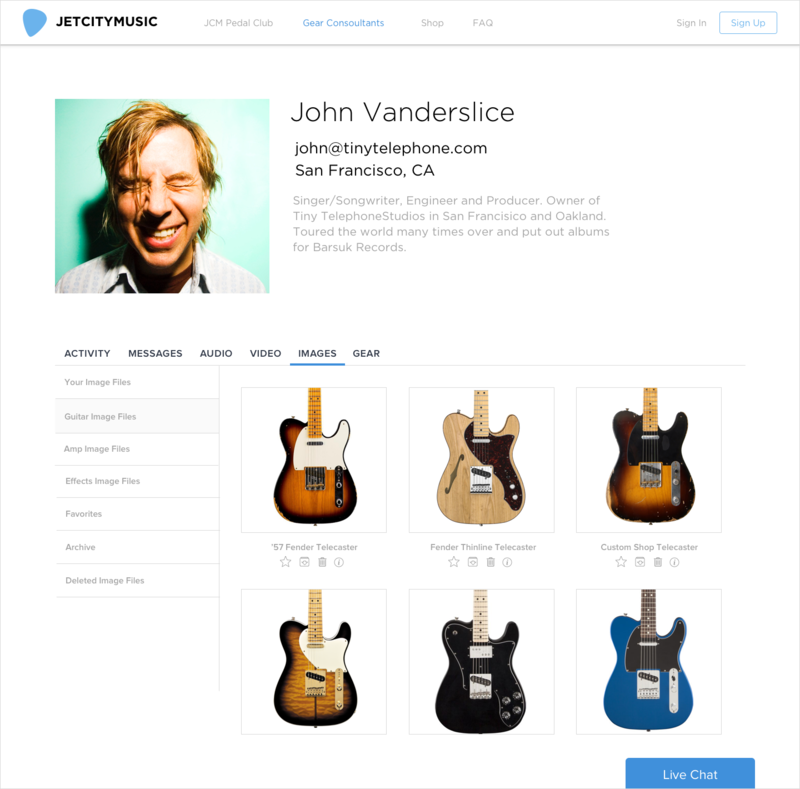 JetCityMusic.com is an online music retailing that specializes in selling boutique effects pedals for guitars. 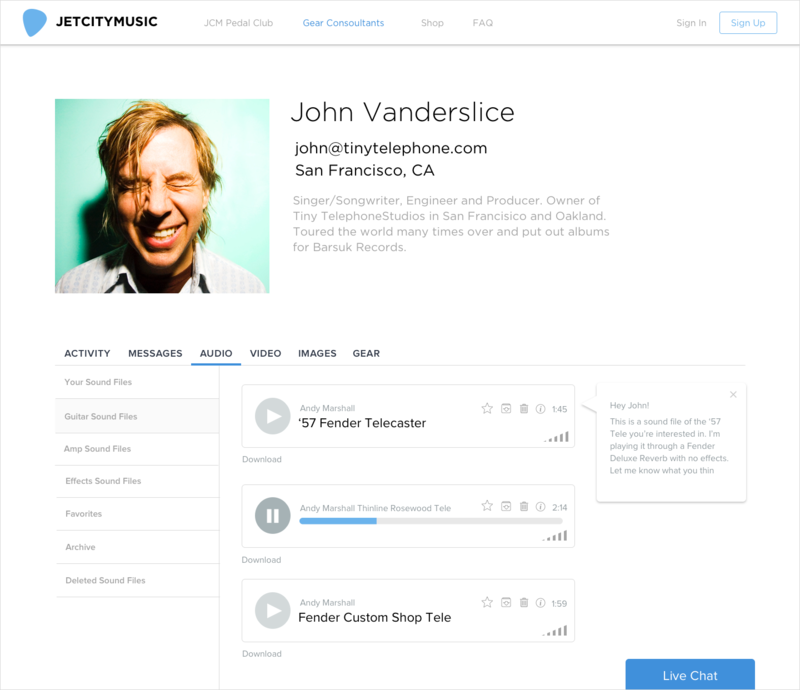 Started in 2010, JetCityMusic found itself in a sea of ever growing competition. 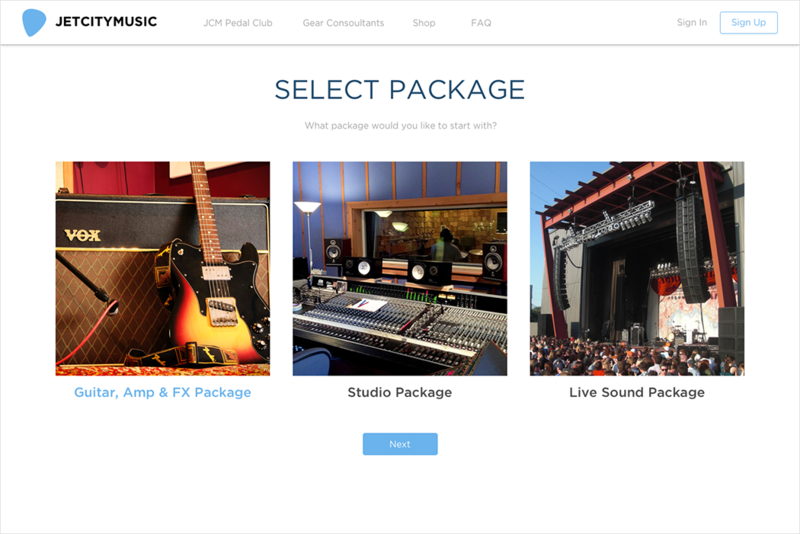 Having done design work for JCM in the past, the owner, who is also a good friend, picked my brain about ways he could differentiate his company from their competitors and find ways to create revenue and traction with more than just sales. The owner and I would have many phone conversations and bounce ideas back and forth. The first idea that caught on was delivered via my wife. As I was chatting with the owner on the phone, I looked down and saw a Stichfix box by the door. 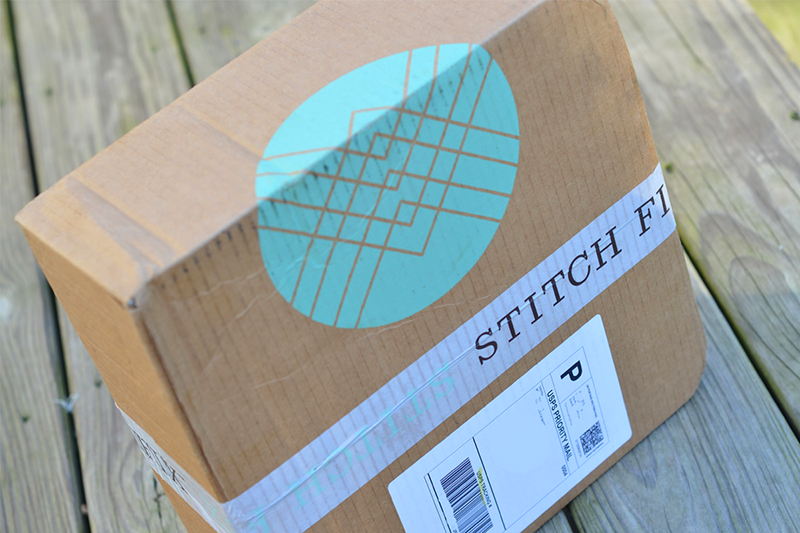 Stichfix is a company that sends customers different items of clothing to either keep or send back. Why couldn’t this work with guitars pedals? 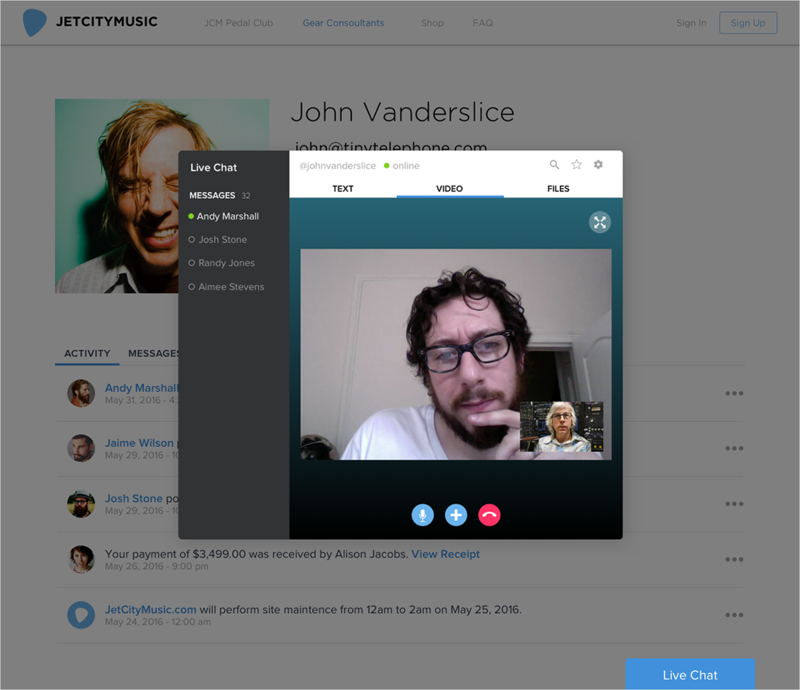 That’s where the idea of for JetCity Pedal Club was born. The second idea I came up with for expanding revenue came via the podcast, “The Pitch.” Think of it as “Shark Tank” for founders in the tech world. The company Havenly, which provides interior design consultants that help you design anything from a single room to your whole house, was pitching. 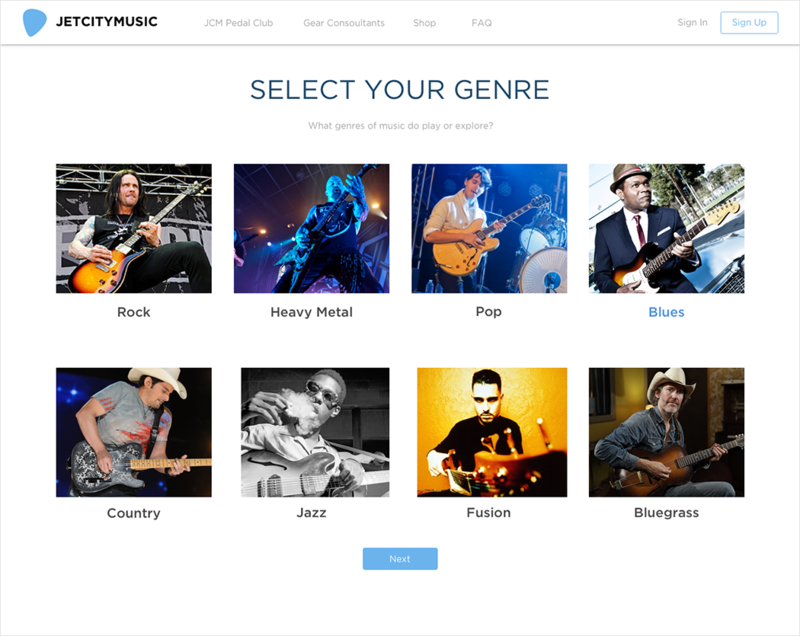 Again, I thought, “This is perfect for musicians.” JetCityMusic could provide “Sound Consultants” that help musicians find their perfect equipment set up, whether that be for guitar, live sound or studio. 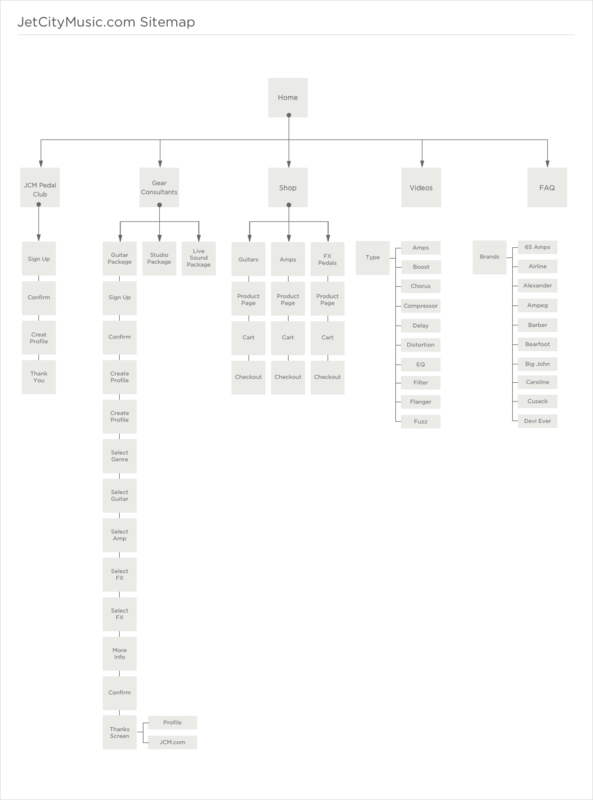 Once the client and myself decided on the game plan, I got to work. 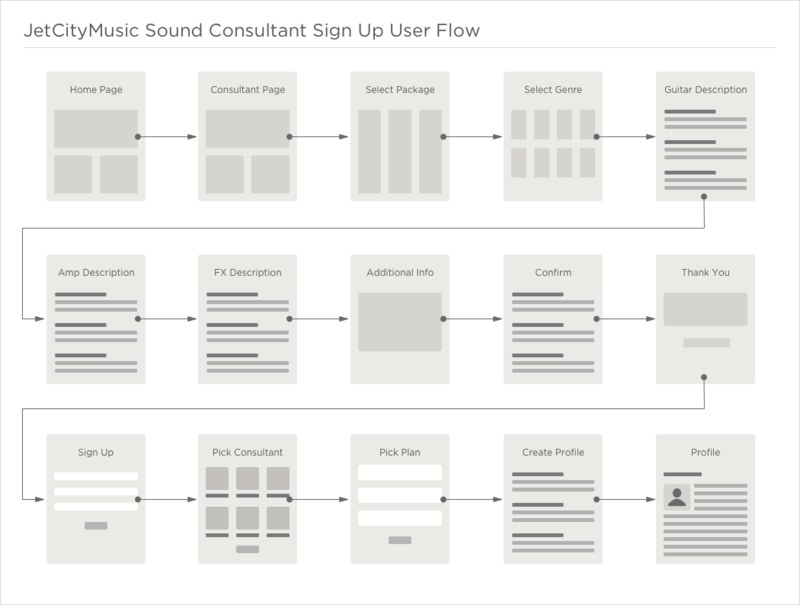 I started with basic sketches, user flows, personas and site map. A balance had to be struck to draw attention to the new features without taking away from the core online business. In some ways, this company could be broken into three separate companies. 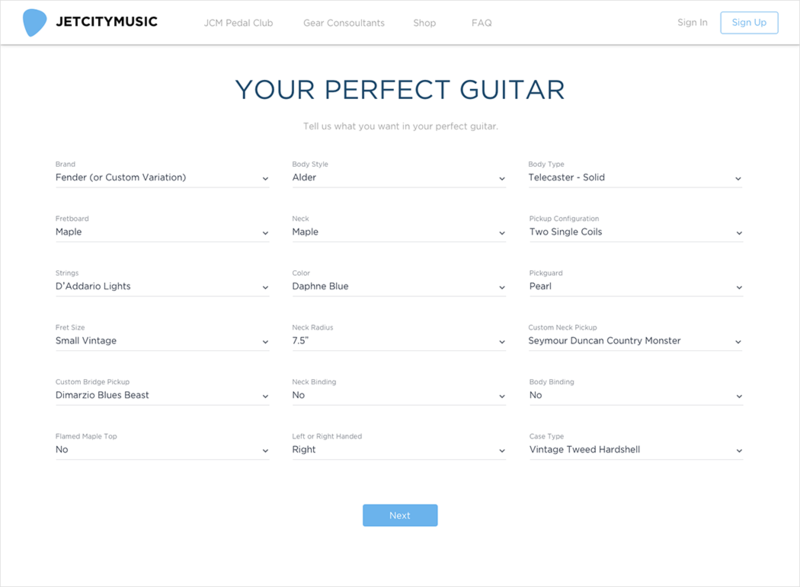 Our goal was to tie everything together so the user felt the comfort of the brand no matter what option they chose. 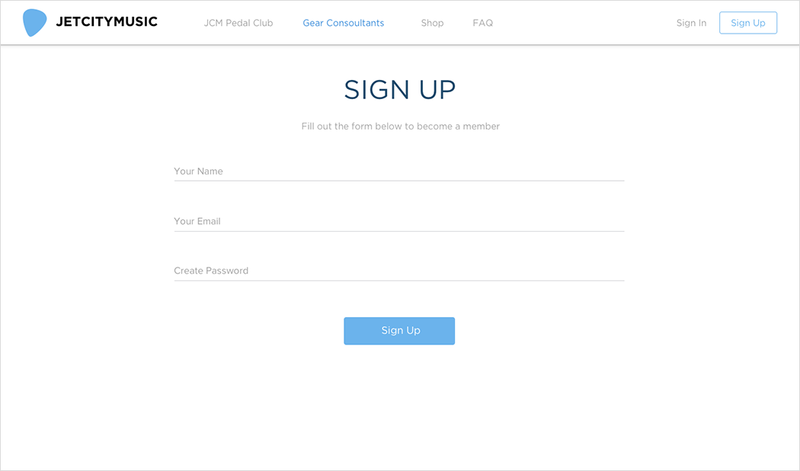 From sign up to creating and managing a user profile, we knew this had to be an easy process – or people would lose interest and give up. 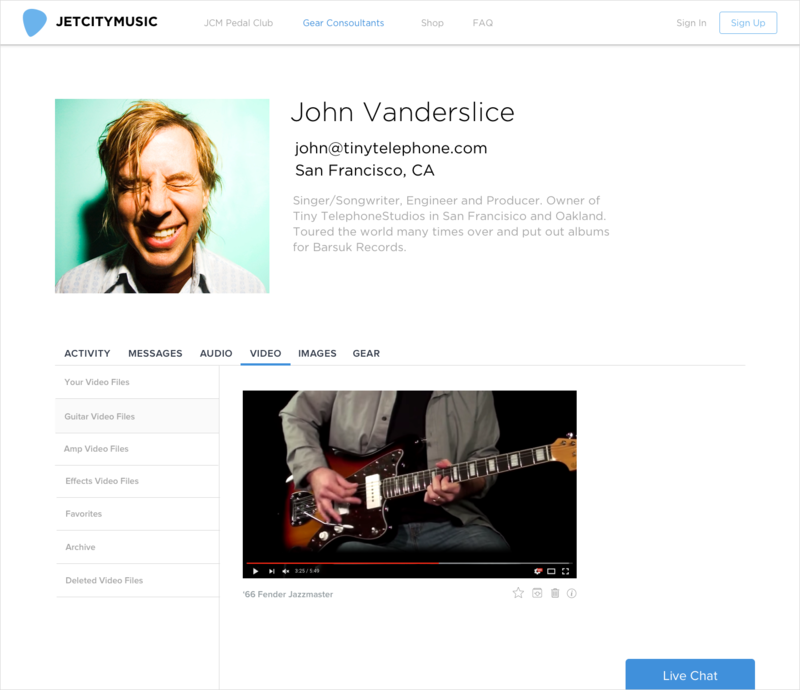 We decided on a simple, three-input sign up page, that once confirmed, takes the user straight to creating their profile. And after the user creates their profile, they’re taken to their profile page where they can view their activity feed, read and write messages, add audio & video clips, add images and descriptions of their gear. 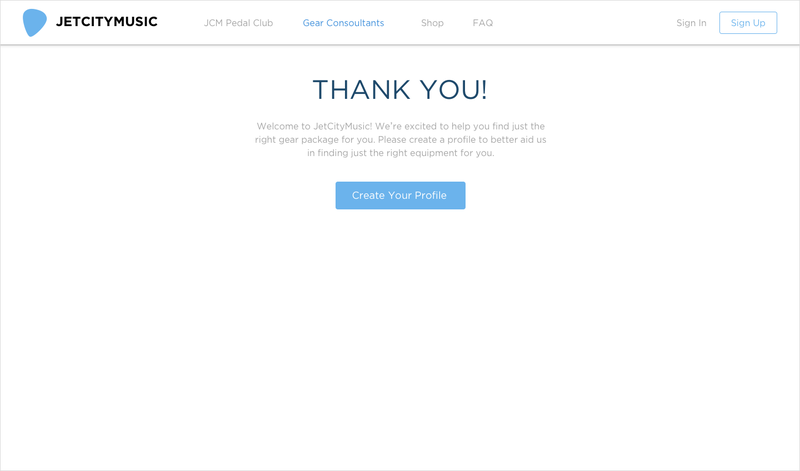 The final design of the site elegantly combines JCM Club, Gear Consultants and its retail offerings in a clean, modern and easy-to-navigate site. 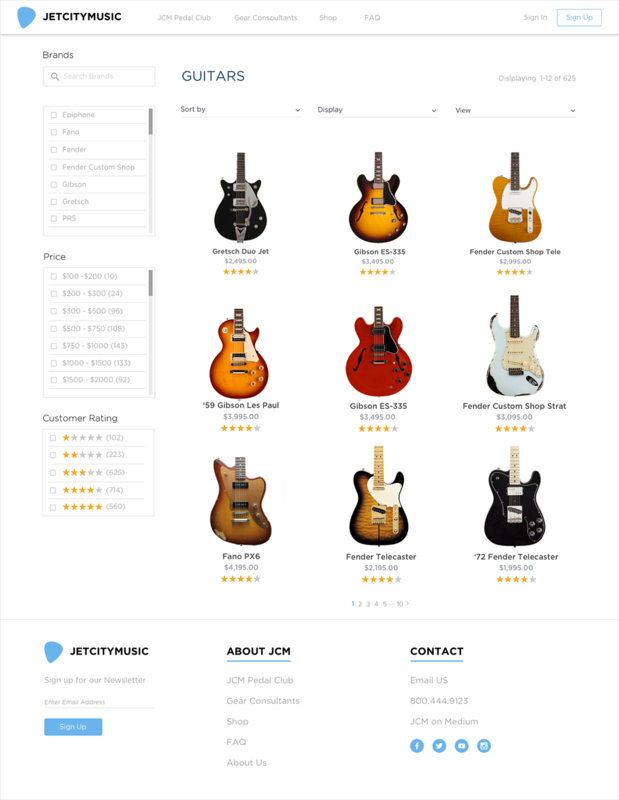 One of our goals was to offer a minimalistic aesthetic that goes against the grain of most music retailer sites. It’s yet to be determined if this will be successful. But, we plan to test it out before finally launching.